While Book Of Shadows II is supposed to show off the "softer side" of Zakk Wylde, I found myself sadly in the corner of "What the hell is going on here?" I'm not ignorant of Wylde's slower more acoustic-slash-southern rock aspirations but despite enjoying the first song released from this album, "Sleeping Dogs", once I listened to the full album, I couldn't help but be very disappointed. The first three tracks on the disc find Wylde's vocals being delivered in a kind of sleepy/monotone way. That kind of vocal performance may work wonders with the BLACK LABEL SOCIETY material, but on the relatively "quieter" music on this disc, it ended up sounding like a dragging dirge-like mess for me. While the guitar solos on "Tears Of December" and "Lay Me Down" were really good, they were the only parts of the first three tracks I enjoyed. The solo in "Darkest Hour" was also quite noteworthy, but sandwiched in a song I just couldn't get into otherwise. There's an alternative version of "Sleeping Dogs" that features Corey Taylor, but it didn't really do much to change the overall feel of the song. As an aside, the lettering on both the lyrics (handwritten) and the track listing on the back of the packaging are very hard to read. Guitar solos play a huge role in the material worth spotlighting in this review as well. "Sorrowed Regrets" which has a great vibe. The more forceful vocal presence from Wylde on "Yesterday's Tears" makes the song a highlight even with the slower pace. I loved the solo here. The simple and stark performance of "The King" creates a visual in my imagination, the electrically charged solo giving a perfectly cohesive change right in the middle of the song. The pure stand out track is "Lost Prayer". The song has great tempo and is the first song in the track sequencing where Wylde sounds boldly engaged in the vocal performance. The solo in the song is killer. I'm likely in the minority opinion about Book Of Shadows II, but while I found a number of tracks that engaged my musical sensibilities, I couldn't help feeling that the album could've been so much more than the final product turned out to be. Zakk Wylde's bonafides as a guitar player are unquestionable, but the vocal performance seemed at times as if it was mailed in and hurt the overall quality of the disc. 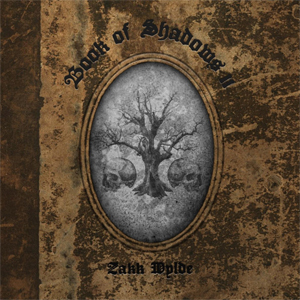 Pick up a copy of Book Of Shadows II in the KNAC.COM More Store right HERE.